Trewavis Surgical, an Australian owned company was established in the late 1960's. We are a specialist manufacturer of reusable and single use sterile, electrosurgical instruments and accessories, Kirschner Wires, Steinmann Pins and a unique biopsy tool used in paediatrics. The Company also contract manufactures electrosurgical accessories and bone wires. Why is ISO 13485 certification important? 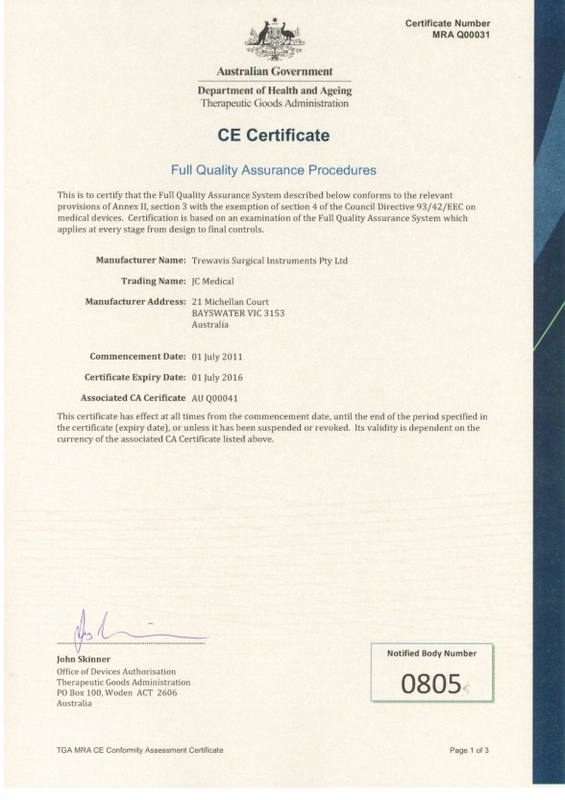 Trewavis Surgical holds ISO 13485 certification which is recognised worldwide as the standard for verification of quality in manufacturing of Medical Devices. The certification verifies a high standard of manufacturing practice and we are regularly audited by the TGA (Therapeutic Goods Administration). The requirements of ISO 13485 mean Trewavis Surgical must maintain quality management systems that consistently meet customer requirements and regulatory requirements applicable to medical devices. 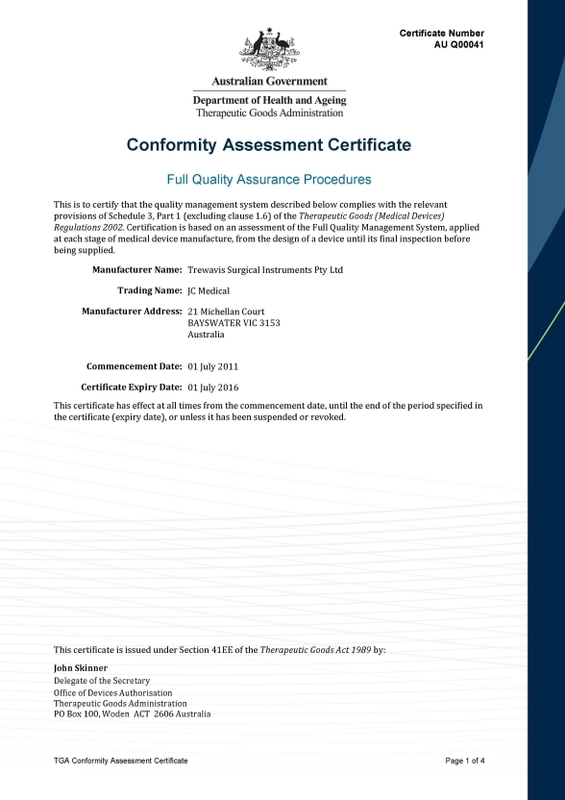 Trewavis Surgical is proud to include the below certification for ISO 13485. Trewavis Surgical offers an unsurpassed level of service and quality.